Cristiano Ronaldo Has taken Centre-Stage of Several Transfer Speculations This Summer. Cristiano Ronaldo wants to play out the rest of his career at Real Madrid, club president Florentino Perez disclosed in an interview on Monday. Ronaldo’s present contract with the Los Blancos runs until 2015, but speculations have linked the 28-year-old with a move away from the Estadio Santiago Bernabeu. “The person who wants to retire at Real Madrid is Ronaldo, and Real want him to retire here too,” Perez told Univision in quotes carried in the Spanish media. Also, Manchester United legend Bryan Robson believes the club’s fans will “forgive” Wayne Rooney if he decides to make a second U-Turn on his much speculated move away from Old Trafford. 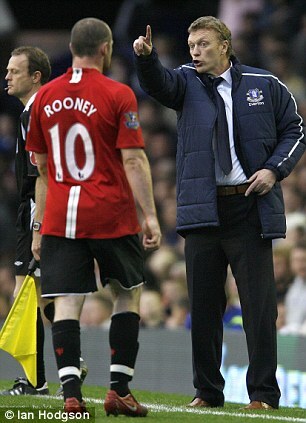 U-Turn: United Fans Could Love Rooney Better, Should He Back Out on His Transfer Request. Robson, who appeared over 450 times for United, likened the situation as akin to when Rooney was sent off in the quarter-final of the World Cup in 2006. On that occasion, Ronaldo infamously winked as his then club teammate Rooney left the pitch, infuriating both England and United fans. United manager David Moyes has said the English striker is not for sale. Tennis: Petrova Withdraws from Australian Open. Maybe He Lacks Confidence or He is Unhappy- Ex-Liverpool Striker Blasts Moses. Ronaldo’s Choice to Remain at the Bernabeu Doesn’t Baffle Mourinho.